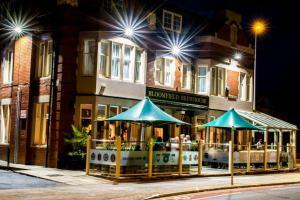 Featuring free WiFi and a restaurant, Bloomfield Brewhouse offers accommodation in Blackpool, 1.3 km from Central Pier. Guests can enjoy the on-site bar. Free private parking is available on site. See all Bloomfield Brewhouse reviews..